Warren Hawke is The South Island’s most established and prolific Surf Photographer. From surfing at New Brighton beach in 1966, to shooting from the water off the back of a jet ski in 2014 - this bio tells of his coming of age, humorous stories and various experiences of shooting many different places and different surfers. 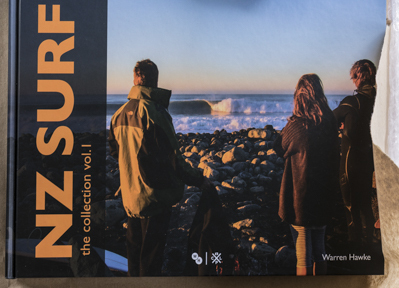 A true celebration of our Kiwi Surf culture.